Human actions have contributed to an unprecedented increase in atmospheric CO2 in the last 250 years, and global temperatures will increase by as many as 4°C by the end of the century. Species can respond to changing conditions in three ways: i) individuals and populations can shift their ranges and migrate to more hospitable habitats, ii) individuals can acclimatize to current conditions through physiological plasticity, or iii) populations can adapt through evolution. If none of these options are possible, the species is faced with local or global extinction. The capacity of a species or population to adapt to climate change depends in part on standing genetic variation, population size, and mutation rate. 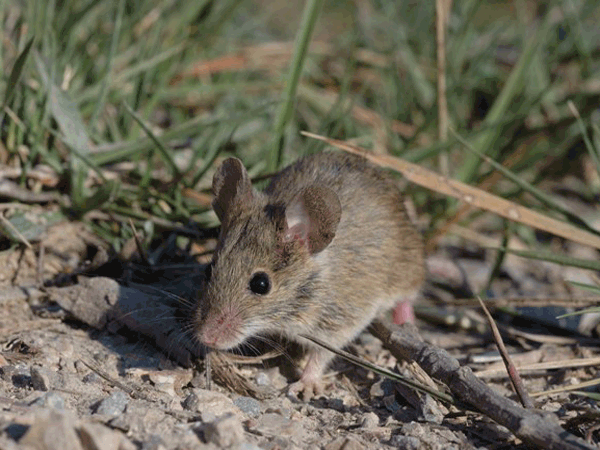 In an essay recently published in Conservation Biology, Jill Hamilton and Joshua Miller (2015) discuss the potential for gene flow between different species to act as a kind of rescue for species that have low adaptive capacity, injecting beneficial alleles into vulnerable populations, thus facilitating their persistence in the face of climate change. Where genetic variation is limited, hybridization and introgression may recombine variation to allow rapid evolution in response to changing selective pressures. Stelkens et al. (2014) found survival after transfer to increasingly salty environments was higher in interspecific hybrid strains of yeast than in the pure parental strains or intraspecific crosses. Additionally, F2 hybrids outperformed F1 hybrids under increasingly harsh conditions. Song et al. (2011) and Norris et al. (2015) showed adaptive introgression of alleles that confer resistance to pesticides. Warfarin resistance in the western European house mouse (Mus musculus domesticus) is the result of a single introgressed gene from the Algerian mouse (M. spretus) (Song et al. 2011). A suite of pesticide-resistant alleles confers increased survival in hybrid Anopheles mosquitos (Norris et al. 2015). Welch and Rieseberg (2002) found that sunflower hybrids exhibit extreme values for traits associated with salt tolerance compared to their parent species (Helianthus annuus x H. petiolaris). Hamilton et al. (2013) showed hybrid genotypes of spruce trees had greater cold tolerance within a certain temperature range compared to the parent species (Picea sitchensis x P. glauca). Work by Gompert et al. (2006) and Nice et al. (2013) showed hybrid butterflies exhibit morphologies and habitat preferences different from their parent species (Lycaeides anna and L. melissa) which allows them to take novel evolutionary trajectories. These case studies demonstrate that hybrids can contain genetic variation that is of conservation value and that hybridization can increase the capacity for adaptation under climate change. As suggested by Hamilton and Miller (2015), evolutionary potential is an important component for future conservation and management strategies.